This blog is part of a series from Castle Comfort Stairlifts that profiles the Coventry areas we serve and where our stairlift offices are plus facts about the region. 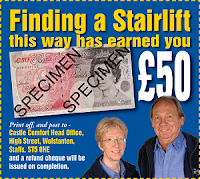 Also we will give you links to stairlift information or frequently asked questions about stairlifts to guide you in making the best decision for your family. 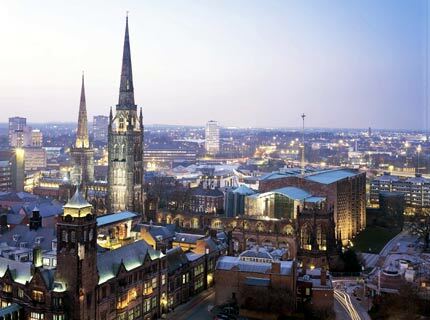 Coventry is known for its cathedral and for being the second biggest city in the Midlands after Birmingham, another place that has one of our stairlifts installation offices in. It also has an historic past having originally established itself as a cloth and linen trading centre in the Middle Ages. In the Industrial Revolution it became a centre of excellence for clock and watch making and when foreign imports led to its decline the skilled workforce moved into other engineering. This turned Coventry into the centre of car engineering and manufacture in the UK. Warwickshire is the wider county and includes the main towns of Nuneaton, Rugby, Warwick, Leamington and Stratford. The birthplace of Shakespeare who was the greatest writer in the English language, the county is also famous for its Bears. Not the wild animals, it's the nickname of Warwickshire County Cricket Club, one of the Big 6 first class cricket teams. Confusingly for non-cricket fans they are based in Birmingham not Warwick. At their peak in the late 80's and early 90's they won the Natwest Trophy scoring a record score in the final, and in 1994 they claimed the treble, winning the County Championship, Axa Equity & Law League (now National Cricket League) and the Benson & Hedges Cup. It was also when cricketing legend Brian Lara made his unbeaten world record 501 not out against Durham for Warwickshire. Leamington became famous as a spa town when people found out about the mineral-rich waters, as it was until the 1800's a small village of 300 people. People could take baths and drink the water and according to the history of the Royal Pump Rooms :- "The Spa treatment was claimed to cure, or relieve, a huge number of disorders - examples being 'stiffness of the tendons', 'rigidity of the joints', 'the effects of gout and rheumatism and various paralytic conditions'." Of course nowadays people suffering those conditions have other aids to help them such as those found through Castle Comfort. 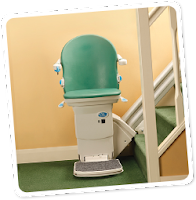 Not only are they able to install stairlifts throughout the Coventry area, they can also arrange other mobility products like riser recliner chairs, bath lifts, wheelchairs or adjustable electric beds too. Rugby is known worldwide for being the birthplace of Rugby the game in the 1800's. Supposedly a pupil at Rugby school picked up the ball and ran to the opponents goal to score with it. "Handball!" Rather than suffer a penalty or direct free kick those Rugby lads, obviously skilled at debate and negotiation with the ref, decided to rename the game Rugby football and change its rules instead! Thanks for the info on Coventry, I was actually looking for info on the city prior to being a student at Warwick, so it will be a few decades before I need one of your stairlifts! Was it engineering you were doing? If you're looking for a part time job to fit in to your studies then we might need a stairlift engineer that neck of the woods soon to help with servicing in the Coventry area. Send us an email with your cv and we can set up an interview. Actually it's medicine. I did a Biology degree and came here for my MB Chb. We've got the largest course of its kind in the UK. Who knows, if I go into orthopedics then our paths may cross again. Or maybe if you go into geriatrics - you might need stairlifts then ?